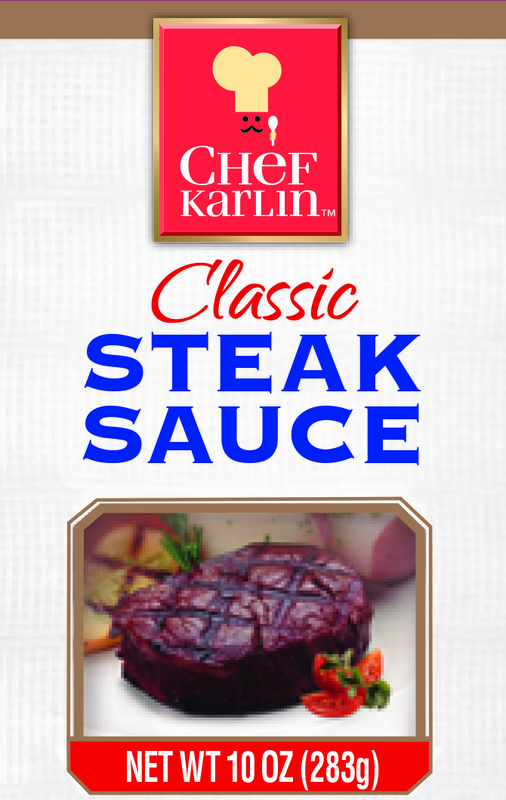 A welcome addition to any meal, Chef Karlin sauces bring flavors to marinades and our Dippin sauces add to any finished meal while our gravy & seasoning products offer the highest quality & value for your store brand choices. If you’d like to discuss this as an addition to your product line, please contact us! Ingredients: Tomato Puree (Water, Tomato Paste), Distilled Vinegar, Dextrose, Raisin Paste, Salt, Modified Corn Starch, Contains less than 2% of: Lemon Juice Concentrate, Orange Juice Concentrate, Spices, Garlic*, Onion*, Caramel Color, Potassium Sorbate and Sodium Benzoate (preservatives).